As some followers of our Blog may be aware we got a new addition to the family 9 months ago – a pup named Woody. I was diligent in my preparation – read all the books, signed up to various online newsletters and was stoic in my determination that this dog would have the best training possible. He was enrolled in puppy socialisation and after that we attended obedience classes. With hindsight, they weren’t the best. We got some basic stuff, but his progress was limited, and this was to a certain degree accepted by the trainer. It wasn’t by me. I had made a promise to the little fella, my family and the breeder that he would have the best of everything and that included training. I went to the mattresses – and over a two-week period had read (speed read) six books in and around the topic. I purchased whistles, changed routines, changed diets – you name it, I did it. To little avail. I then took a step back and re-researched alternative training providers. It was enlightening. There were many people in the same boat as myself. I was then recommended the services of Canny Canines. After a further period of due diligence and engaging with the family procurement department we enlisted their services. It was a revelation. They didn’t train Woody – they trained me! I attend a coaching session every Saturday afternoon where I am trained to do and say things in a certain way whilst Woody just looks on – and much to my delight he has started to join in. In fact, he is actively encouraging me to keep learning. It is a long time since I have been in a classroom environment – this just happens to be bigger with chairs around the outside and of course there are some other dogs there watching their owners being coached. 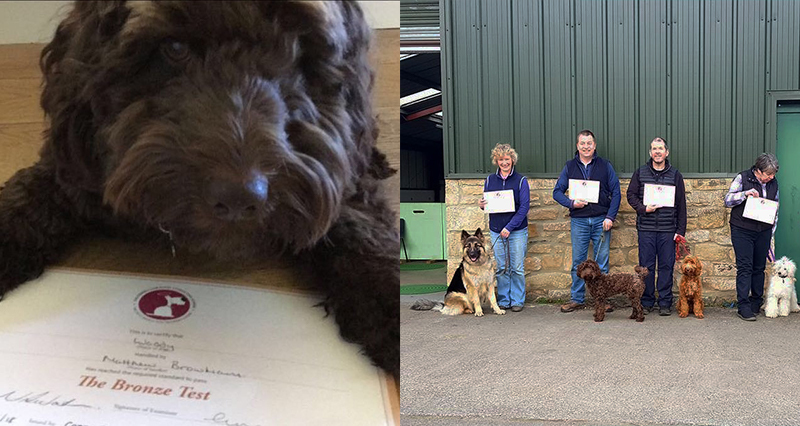 Like all learning organisations, I was subject to some monitoring at the weekend in the form of the Kennel Clubs Bronze award test – it would be a good gauge as to how I was progressing. My coach assured me I would be fine, and Woody was happy to attend. Now, this isn’t about me being smug in that I passed the test. This is about norms, examining the status quo and then questioning it. To that end I would ask you - who’s your radio coach? If in doubt drop me a line, I will happily point you in the right direction.